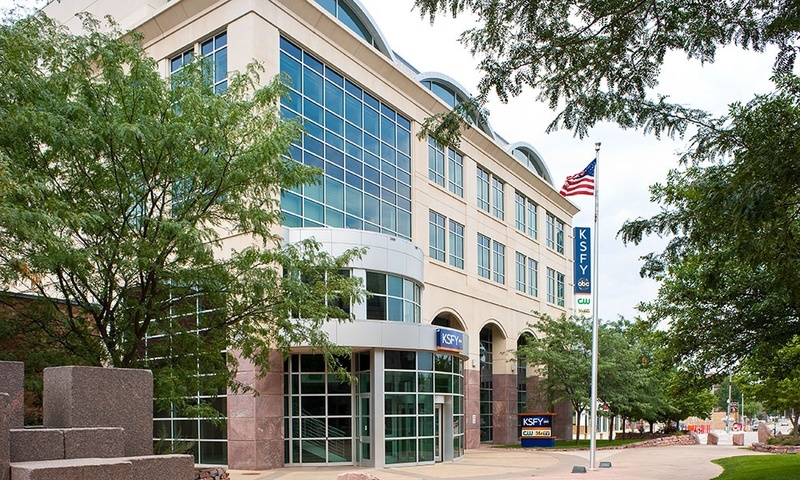 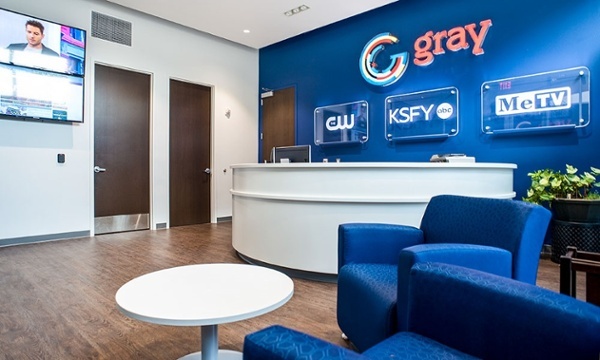 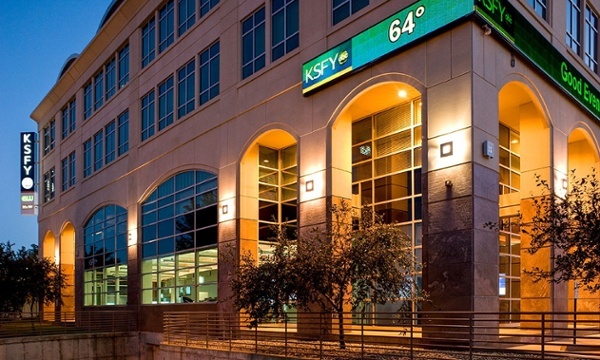 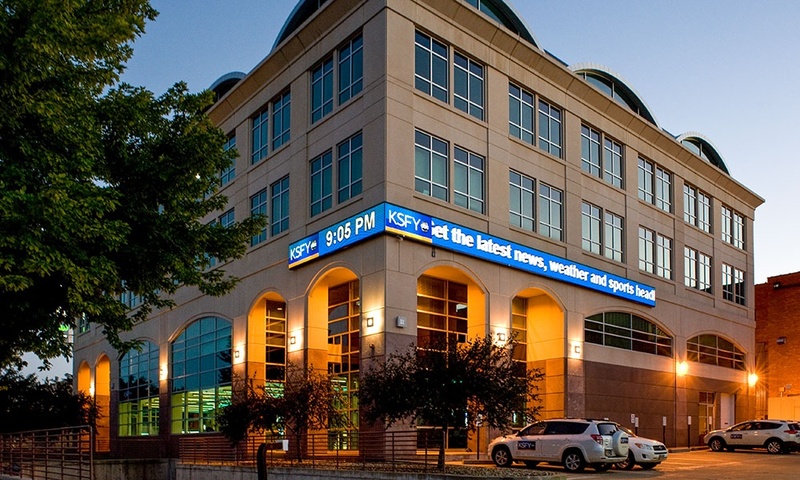 KSFY-TV teamed up with Fiegen Construction and Koch Hazard Architects for the design and renovation of approximately 20,500-square-feet of space on the first and second floors of the Courthouse Square building in downtown Sioux Falls, South Dakota. 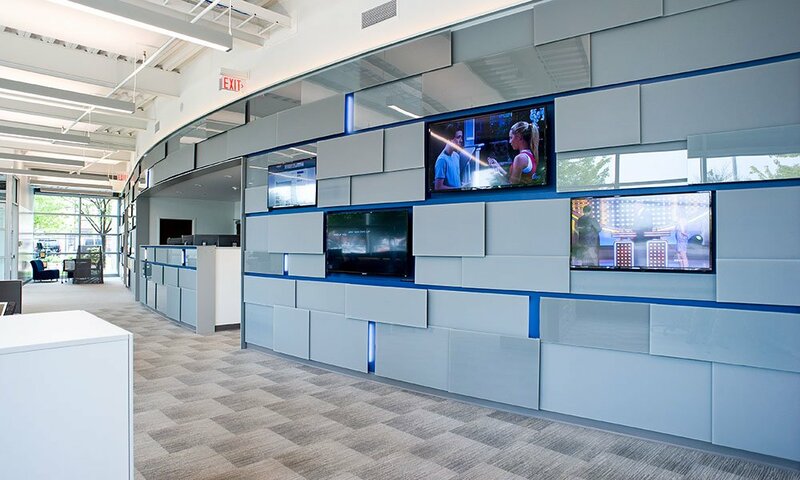 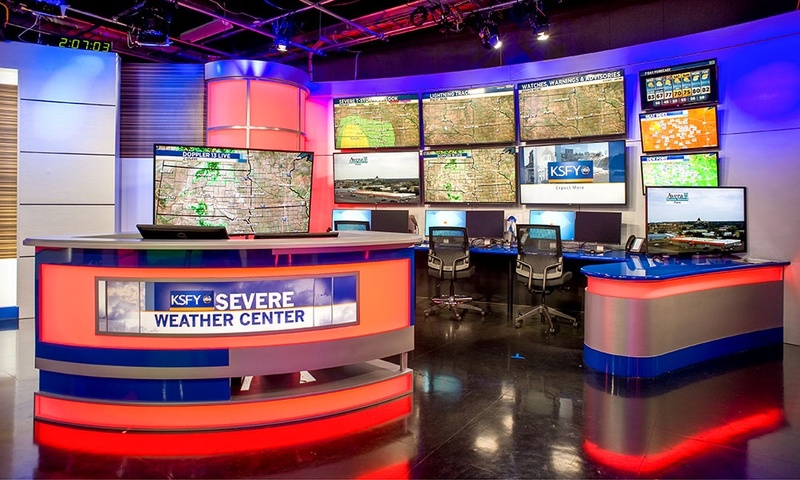 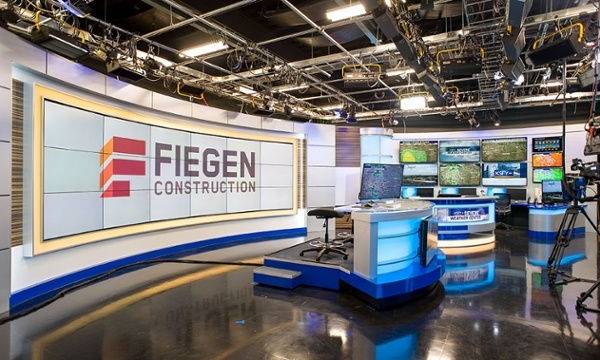 This design-build project called for construction of a state-of-the-art studio with production facilities and offices, support spaces, and a newsroom with a glass access feature wall. 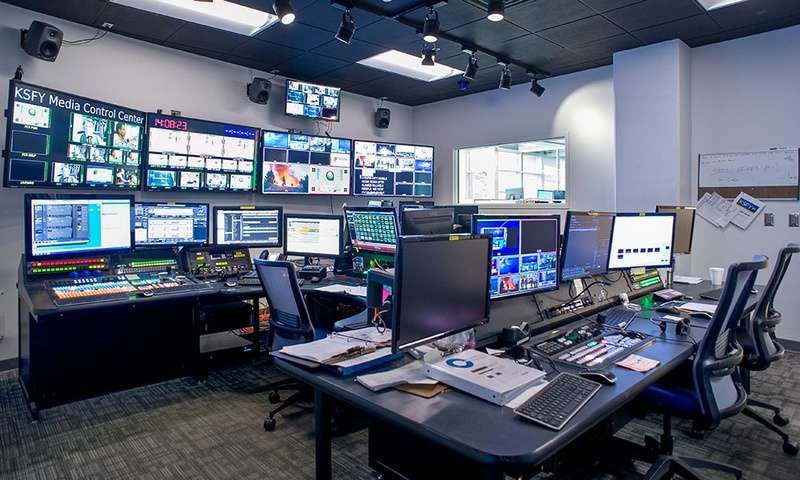 One of the most challenging aspects of the $3.2 million project turned out to be the design and construction of an off-site satellite farm to support the station in its new quarters.